Even in the home of a baker, where the bread was good enough to eat without any embellishments, we always had butter on the counter, soft, ready for spreading. My dad would come home from the bakery with an armload of fresh baguettes, or a beautiful sourdough jaco, or maybe on occasion some kaiser rolls. The bread always went straight to the kitchen counter that separated the breakfast nook from the cooking area. We didn’t use bread knives, just tore off pieces as my mom was making spaghetti, or a turkey soup was slowly boiling. Every evening before dinner this happened, for as long as I can remember, and the bread was never eaten without butter. 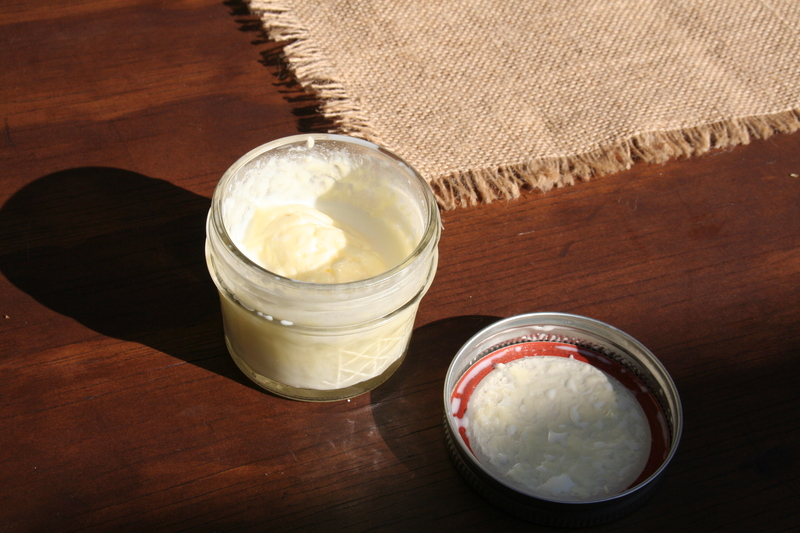 Spread thinly, sometimes not so thinly, I once questioned my dad about butter, knowing the bread could stand alone. He just laughed. It enhances all of it, Janie. 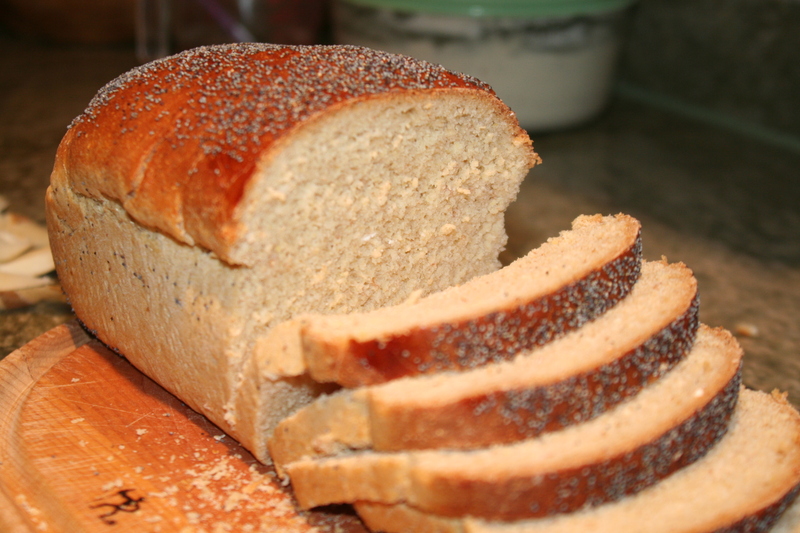 The flavors, the wheat and the salt and the starter… What would bread be without butter? Knowing what I know now, not only is bread better with butter from a taste standpoint, but mixing those carbs and fats are better for us as well. Butter is good for you! Haven’t you heard?!!! Anyway, on this eve of Saint Brigid’s feast, we are making up a little bit of butter just for the fun of it. We already have some in the fridge, but in memory of a beloved and faithful dairymaid, we are butter churners tonight. 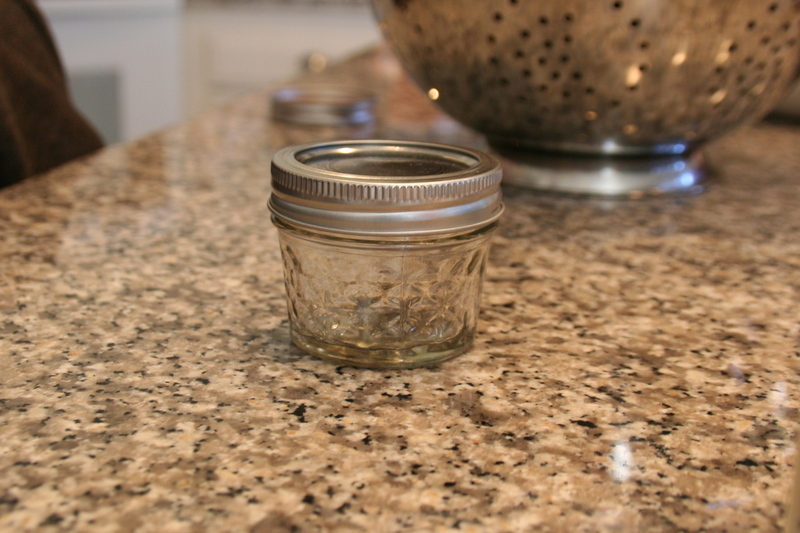 Find a cute small jar with a lid. Add the heavy cream–not too full–only half–so that there’s room for shaking. Just cream, nothing else. And you have butter, and a wee bit of buttermilk, too. Strain off the buttermilk to use, or drink, (do NOT pour it down the drain; it’s too delicious) and enjoy the wonderful fruits of your shaking! Here’s an excerpt from The Life of Saint Brigid--Brigid, a woman of Christ whom I long to emulate! Brigid saw Christ in everyone she met, and had a particular love for those less fortunate than herself. When the poor came knocking at the kitchen doors, Brigid handed out loaves of bread, jars of butter and jugs of milk. With her heart and hands opened wide, she even gave away the food meant for the chieftain himself! Cheers, dear friends. Enjoy a moment of dairy-maiding! 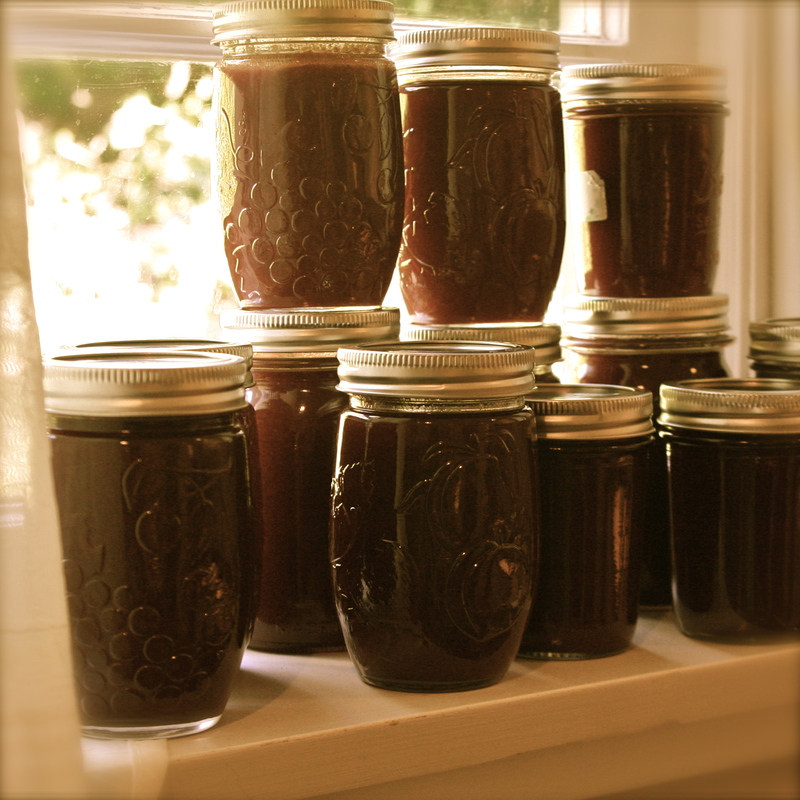 After many batches of prosphora, some passable, and some not, after split tops, and broken seals, and a stubborn dedication to continue to improve, I am finally passing along this recipe in the wake of the horrible shooting at Sandy Hook Elementary School. I’m not sure how else to respond, except to try to continue to commit to giving, to finding and creating beauty, and to pursuing love right here, where I am… And prosphoron is all about giving, beauty, and love. It’s about dying, and resurrection, too, and that’s the kind of light that is needed right now. Please feel free to comment with your prosphora thoughts below. This recipe is a work in progress! Time Commitment and (lots of) notes: I usually set aside about three hours to make two batches, which equals six loaves of 8-inch prosphora. I mix and mold and bake one batch right after the other, finding that it’s easier to handle two mixes of five cups of flour, as opposed to manhandling a big mix of ten cups of flour! That’s a lot of dough to knead at one time for a little person like me… I make six loaves of bread, instead of five, because I often have a loaf or two that turn out worse than the others. I take all the loaves to church and allow my priest to decide what to use. If all the loaves are passable then he simply freezes the extra loaf for back up. Also, I typically put a bit of my sourdough starter in my prosphoron mix for added loveliness. Flavor, connection to my family, natural yeasties–they are all reasons to include some. I have a blessing from my priest to do this. My starter is only flour, water, and yeast–unlike some starters that may have fruit juice, honey, rye flour or other additives. Every now and then I bake the prosphora strictly with my starter, using no commercial yeast, but this takes about 20 hours of waiting so I have to be in a particularly patient and planning-ahead mood! Oh, and I shape my loaves by hand instead of cutting them with a large round tin, or baking them in a baking pan. Though they can at times be a bit misshapen from my hand-molding, I prefer working with the dough this way. The key is learning how to shape the dough into a ball before flattening. And another thing! This mix is fairly wet, because I don’t like a super dry crumb that makes a huge mess all over the church floor. Don’t be afraid of sticky-ish dough. 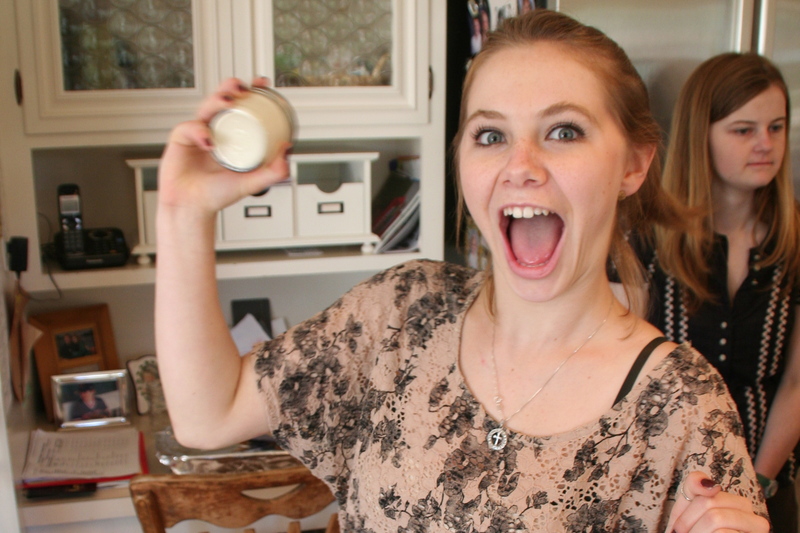 Don’t add and add and add flour to a mix because it sticks to your hands. Practice will help show you how to adjust the ratio of flour to water–and it’s true that my five cups of flour to your five cups may absorb water at a different rate. Step Two: Transfer dough to a clean, floured bowl. Allow to rise until doubled. Around 90 minutes. Go and hug your kids, or find some kids to hug! Step Five: Flour the top of one of the rounds, press the stamp firmly into the dough. Pull the stamp up out of the dough slowly. Set aside, and stamp the other two rounds. Cover the three stamped dough rounds and allow to rise for another 10 or so minutes. Step Six: With a toothpick, skewer, or other pointed object, poke holes around the outside of the lamb (that’s the seal in the center of the stamp) in the form of a cross, then poke 8-12 holes around the outer edge of the seal to allow the steam to escape while baking. The holes help keep the loaves from splitting. Make sure you poke the holes clear through the dough. Step Seven: Carefully transfer the dough to the oven. I bake them at 350 degrees for 30 minutes on a pizza stone in the middle of my oven, transferring them in and out with my hands and my dough cutter or my spatula. 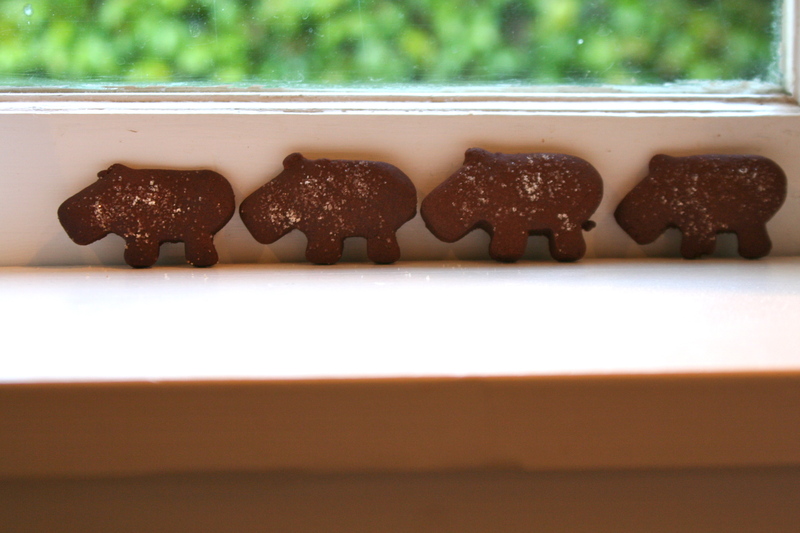 (I’ve baked them successfully on a cookie sheet.) Bake until just beginning to have a golden color. Step Eight: Allow to fully cool. Make sure you include your prayer list when you take your lovely offering to church. Many churches like you to put the prosphoron in a plastic bag to ensure moisture retention. Here are some additional websites to help you in your prosphoron baking! Father George’s www.prosphora.org where you can find stamps and loads of information on baking prosphora. A really cool baking pan with the stamp imprinted in it. Someday I might have to get me one of these! 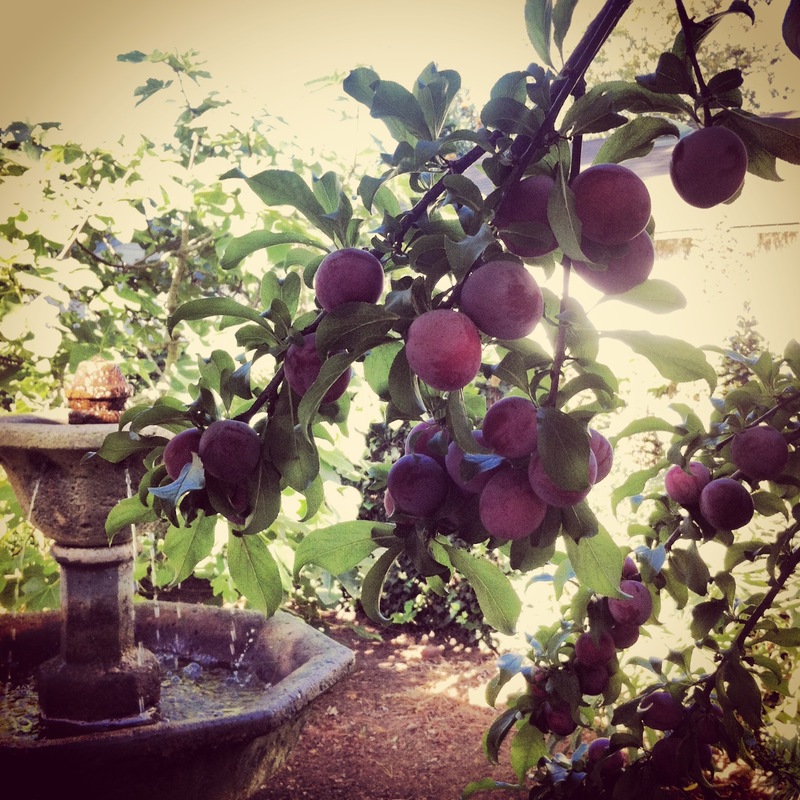 A recipe by Peter Serko that includes lots of photos and good advice, plus some added links. And on her lips were prayers of all sorts: for the rain, and the sun, and the moon, and the wheat – and the bread that was to come. 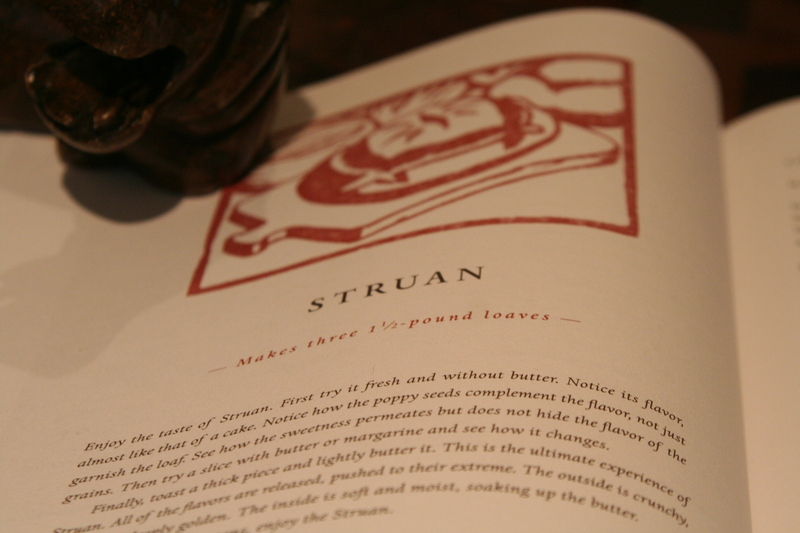 From: Brother Juniper’s Bread Book by Peter Reinhart. 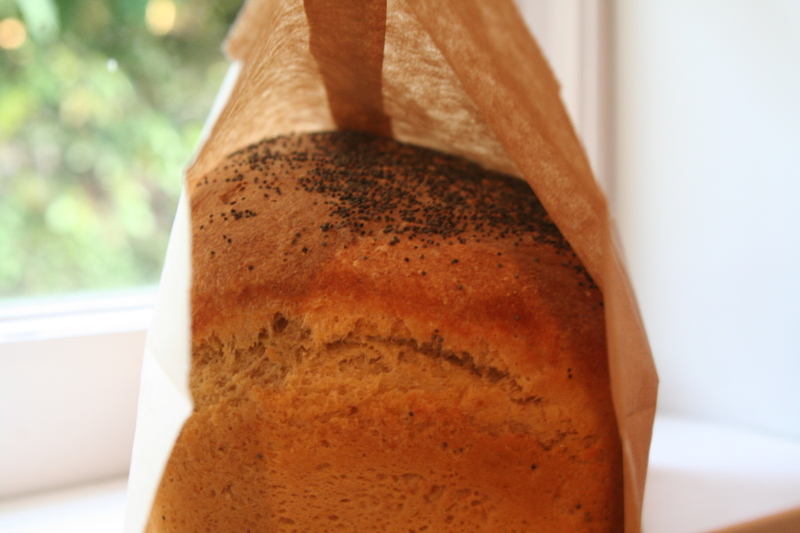 He researched this harvest bread and attributes it to Scottish bakers, and since I’m part Henderson, I quite like that. Time Commitment: Hmmm. Cook the brown rice. 20 minutes to mix the dough. 90 minutes to wait for the first rise. 60 minutes to wait for the second rise. 45 minutes to bake. This recipe, though simple, will never make its way into a 20-minute-meal cookbook! My simple guideline is that I can start a bread recipe at around 2pm and have it ready for dinner, but if I begin at 3pm, we’ll be eating it for dessert. Comments: Delicious. Nutritious, but not at all dense. I especially like this bread because I typically have all of these ingredients in my fridge and pantry. If any of the ingredients below seem strange to you, think about trying it this way first, but adapting recipes is always a part of the fun. 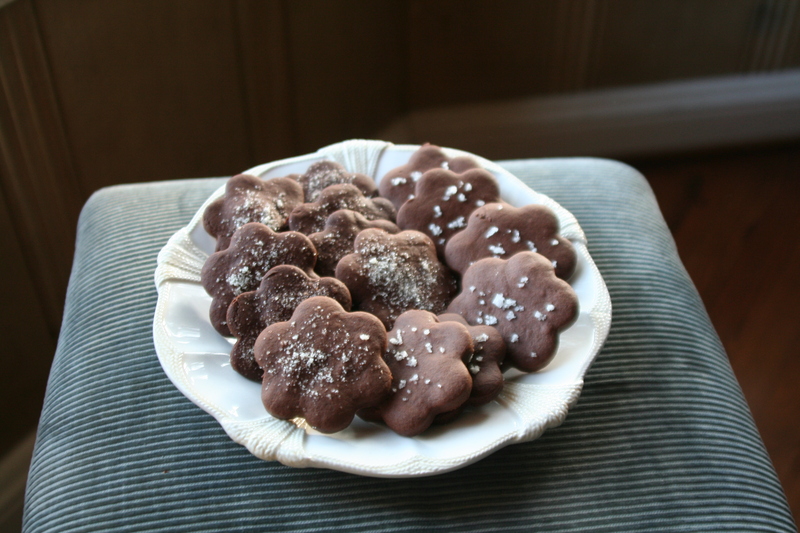 I use an electric mixer with a dough hook for this recipe, but it can be kneaded by hand, and will build mighty muscles if you do. Step One: Mix all of the dry ingredients into a bowl. Add the buttermilk, honey and water. If mixing by machine, get the hook moving and let it mix for about 10 minutes. If working by hand, roll up your sleeves and make sure you have your yoga pants on. Do your best to really beat and push and knead for at least 12 minutes. Don’t worry if the dough remains a bit sticky, but add flour if it’s overly wet and sloggy after you’ve kneaded a long while. Step Two: Place the dough in an oiled or floured bowl and cover with plate or damp cloth. Allow to rise for about 90 minutes. Since there’s so much yeast in this batch, you’ll know if your yeast is less than perky. The dough should double in size during the 90 minutes. Step Three: Prepare the two loaf pans. I spray them with canola oil. Step Four: Turn the dough out of the bowl and divide in two with a sharp knife or dough scraper. Flatten the dough into a rectangle (ish) and fold in thirds, sealing each section with your thumbs, until you have a loaf. (If you don’t know what you’re doing, just pretend you do. 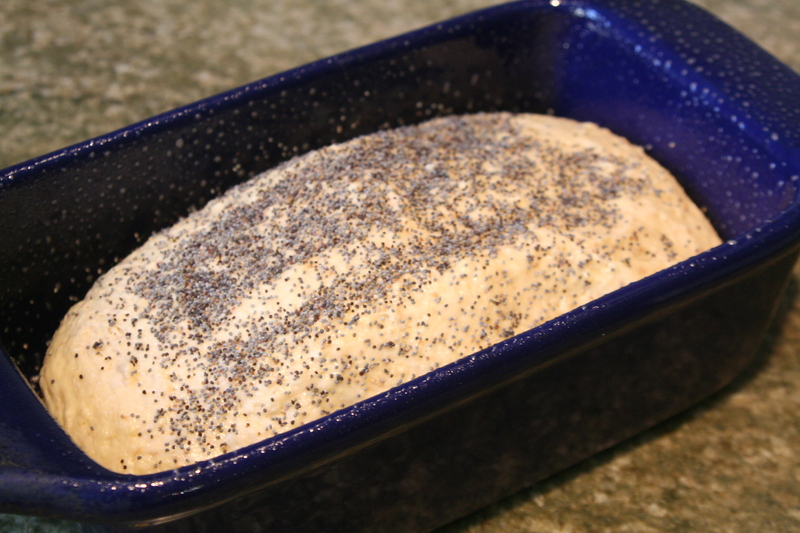 Simply move the dough around for a while until it’s in sort of an oval shape :)) Sprinkle tops with poppy seeds. Place the two dough loaves in a corner, covered by a towel for the second rise (which should total about an hour or a bit less). 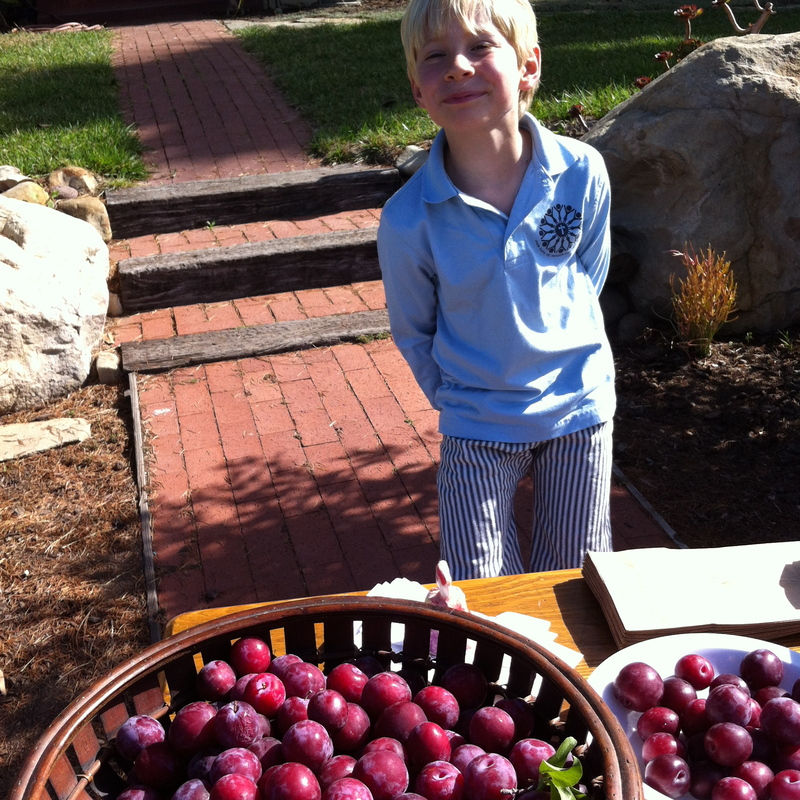 Make your kids a healthy snack or go dust the living room while you’re waiting. Step Five: Turn the oven to 350 degrees–about 30 minutes before baking. Step Six: After 40 or so minutes of rising in the pans, the dough should begin to reach the top edge of the pan. Don’t allow the dough to rise more than an hour in the pans. Pop the two pans into the warm oven and set the timer for 45 minutes. Bake. Step Seven: Turn the bread onto a cooling rack right away. If it stays in the pan while it cools, it might get soggy. 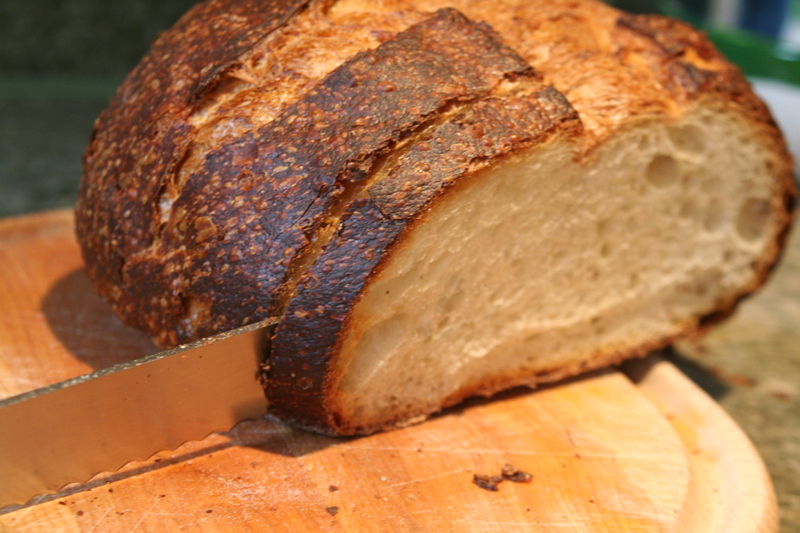 Allow the bread to cool at least for a few minutes before cutting into it. 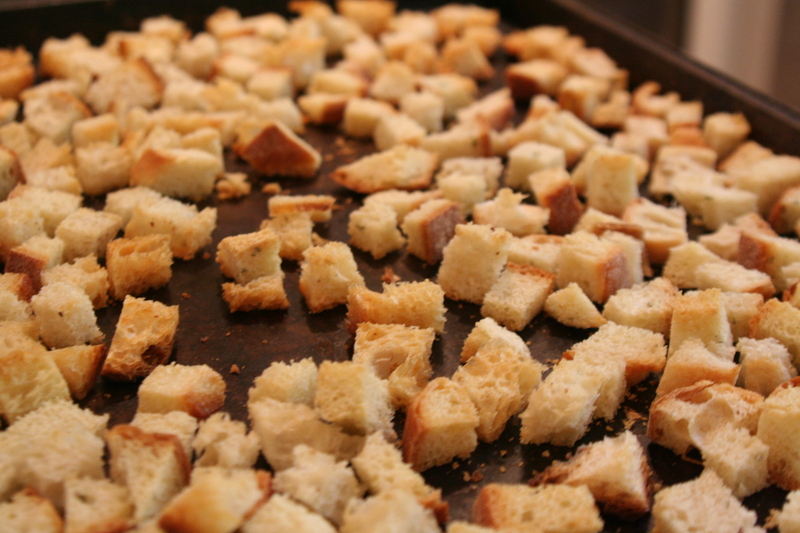 In this recipe I show how you can add olive oil and salt for extra flavor, but the croutons are just as functional and delicious when left alone. 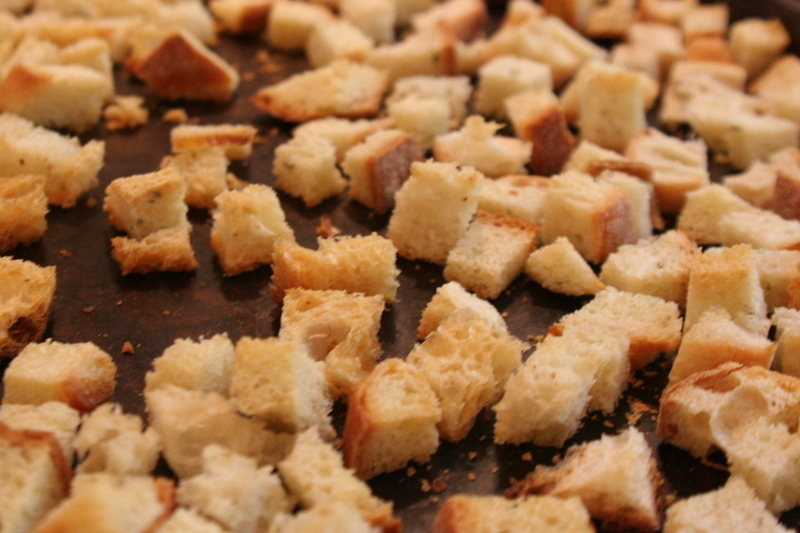 I’ve made croutons from many types of breads, but my favorites are the rosemary French bread that I make, and sourdough. Oh, a French loaf with parmesan in it would be delicious, too! 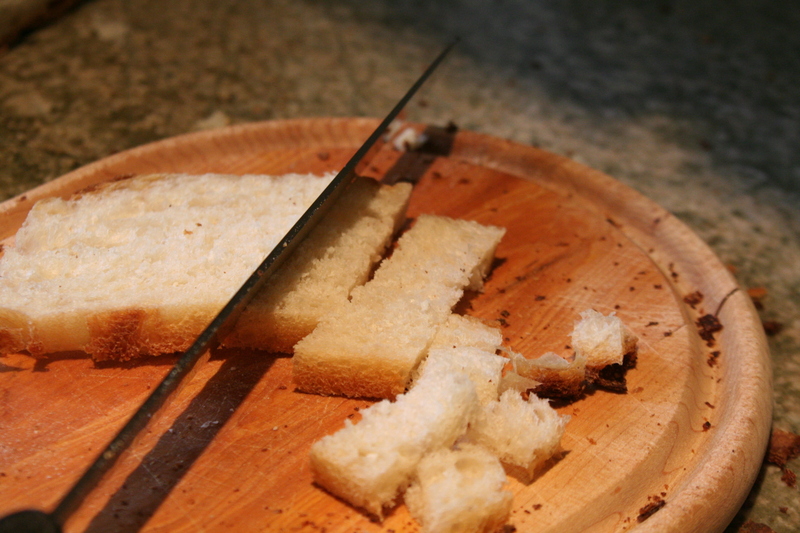 Step One: Cut the old bread into crouton-sized cubes. Step Two: Put the cubed bread into a large mixing bowl. Drizzle with olive oil, toss the cut bread, then drizzle some more. I don’t saturate mine, just put on enough to coat and get flavor… Toss in a few pinches of salt as you go. Step Three: Leave the cubed bread out overnight on a cookie sheet, or at least for a few hours in the open air. Step Four: Preheat the oven to 400 degrees. Toast the bread cubes in the oven for 8-12 minutes, depending on size. Step Five: After they cool, store the croutons in an airtight container. Ask some friends over for dinner, make a lovely Caesar chicken salad –with croutons–for dinner, and enjoy! I love granola. 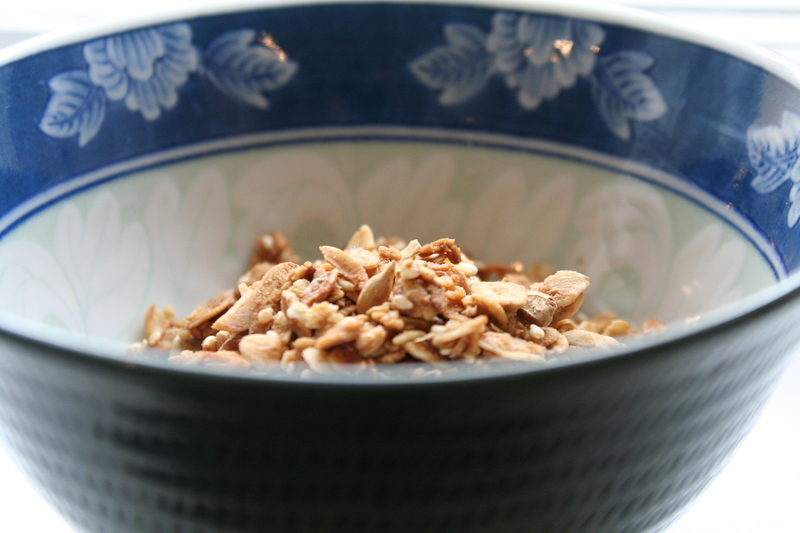 But purchasing it in bulk at the health food store is costly… At a recent farmers market at our church, a friend made a batch of granola–exactly the kind I like–so I begged her for the recipe and have been making it now for months… Thanks, Jennifer! Yum. So easy, and much more forgiving on the wallet. 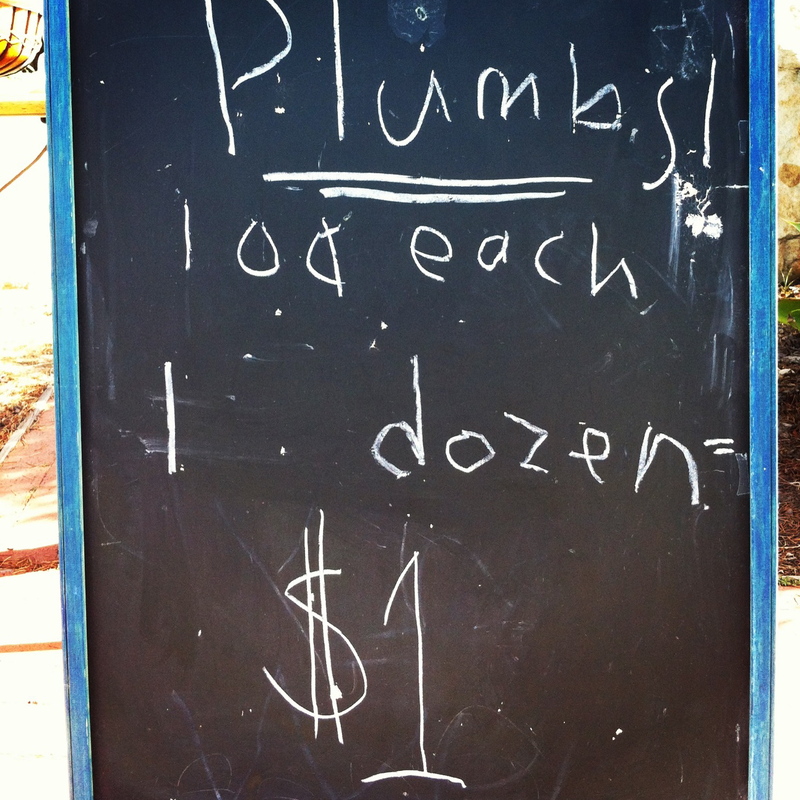 And, this recipe is glooten free. Okay, gluten free, (who came up with the word gluten, anyway?) as long as you buy gluten-free oats. This recipe can easily be halved or adjusted… Adjust amounts of seeds, add raisins or dried cranberries, or other nuts, perhaps pumpkin seeds or goji berries–all according to your liking. I keep my batches of granola in a big jar in my pantry. It keeps well for a long time, but I go through a batch of 7 cups of oats every two or three weeks. Step Two: In a large mixing bowl, combine oats, nuts, seeds, cinnamon and salt. Stir round and round. Step Three: If using butter, melt butter in a small pan. Add the nut butter and maple syrup and stir till blended. Cool, and add vanilla to liquids. If using oil, then melt nut butter–add oils and maple syrup and stir over low heat. Add vanilla. Step Four: Pour the wet ingredients over the dry, and mix. Step Five: Divide the mixture in half, spreading it out onto two cookie sheets. Bake for 30 minutes at 325, then take out the granola, turning it with a spatula, and bake another 15 or 20 minutes, until toasted and golden brown.